If you own a website or a business in the dog niche/industry, then you are in one of the most reliable and lucrative industries out there. This is a business model that’s unlikely to go anywhere and it’s one where people are happy to spend a large amount of money. Long story short? People love dogs! The only problem is reaching those dog lovers so that you can share your information and products. That’s where we come in with our high quality, low cost solo ads. We have spent the last several years building up a huge collection of email addresses. 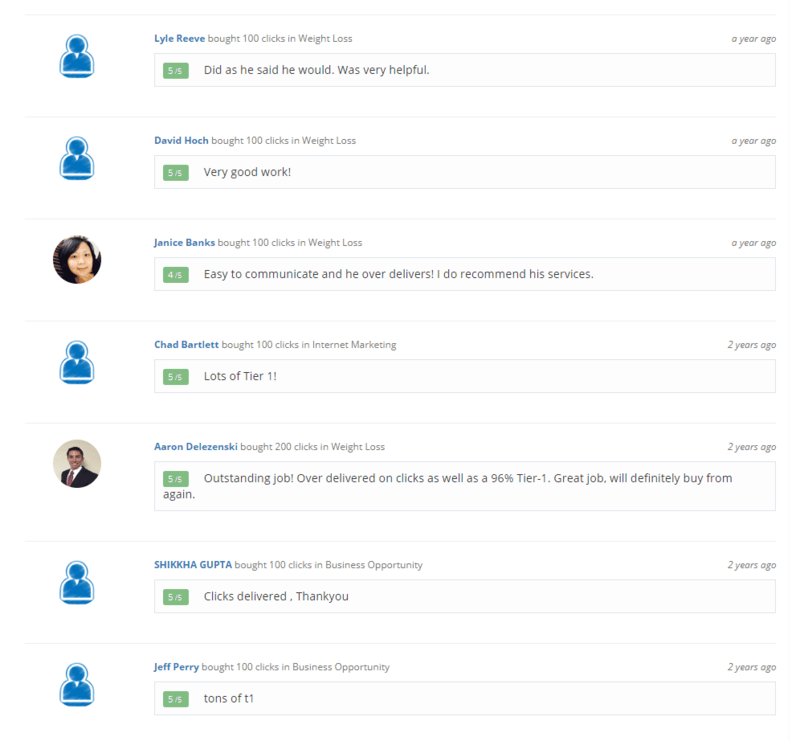 These contact details have all been vetted (no pun intended) to ensure that they’re highly targeted to your niche. Everyone on that list is a dog owner. They are all verified. They have all ‘opted in’ to marketing messages. And they all have a history of spending money on their pooches. With our solo ads, you can craft a message to be sent directly to that audience and expect a huge open-rate and click-through rate. In minutes, you can reach the kind of audience that would take years to amass. And that means more clients, customers, and traffic! If you have a special offer, a great product to sell, or any other promotion – get on board and try our solo ads service to see just what a raving response you can get. 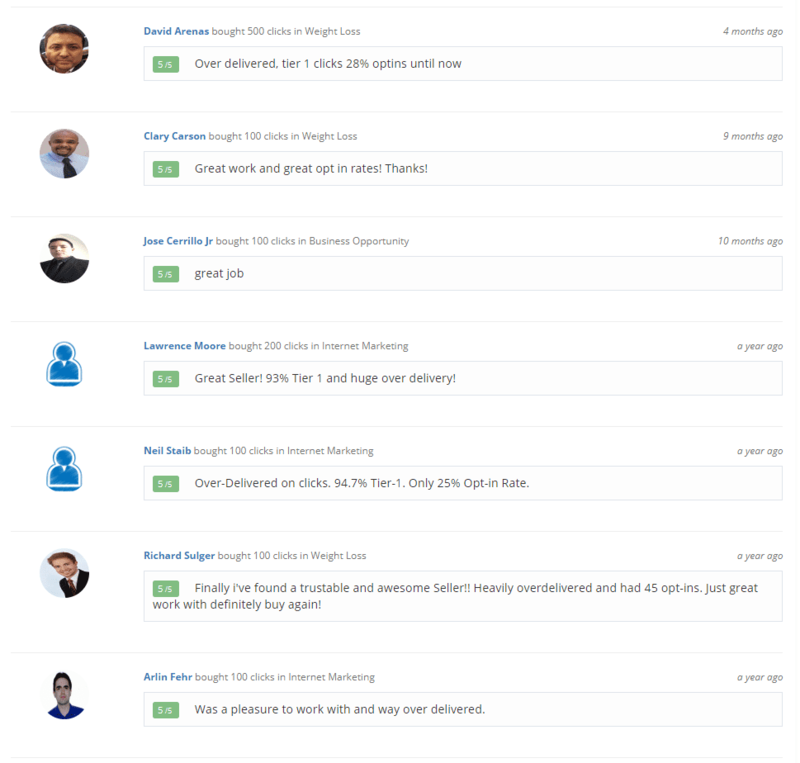 Our list is entirely clean, targeted, and validated. And our prices are the very best in the business. You really have nothing to lose, so go ahead and give it a try! Got more questions? Then get in touch at Jordy Solo Ads and we’ll be happy to discuss the details with you. WHY OUR DOG LIST SOLO ADS? 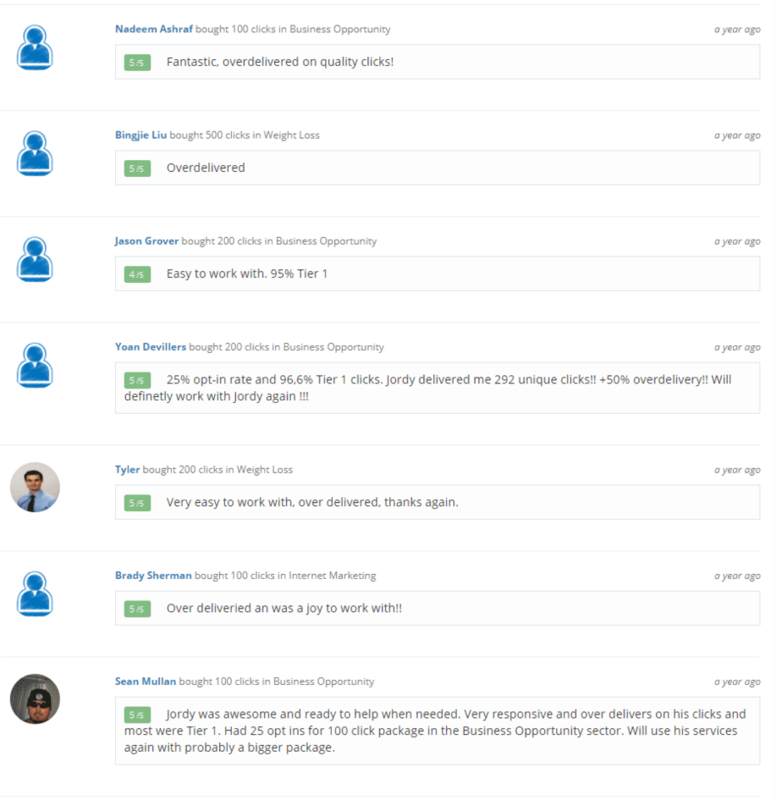 If you’re on a budget, Jordy’s buyer list solo ads are highly cost effective. They cost significantly less than other forms of advertising, so they can save you a real bundle and keep you on track with your budget as the cost is based on clicks. 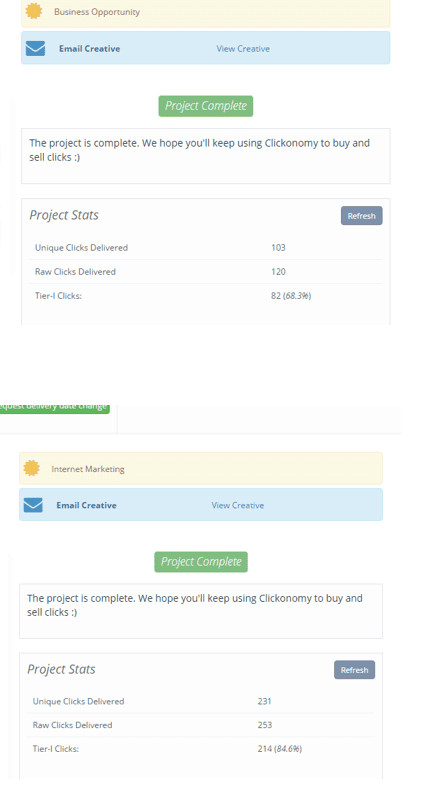 Best of all, we usually will over deliver the number of clicks without any additional charges at all. 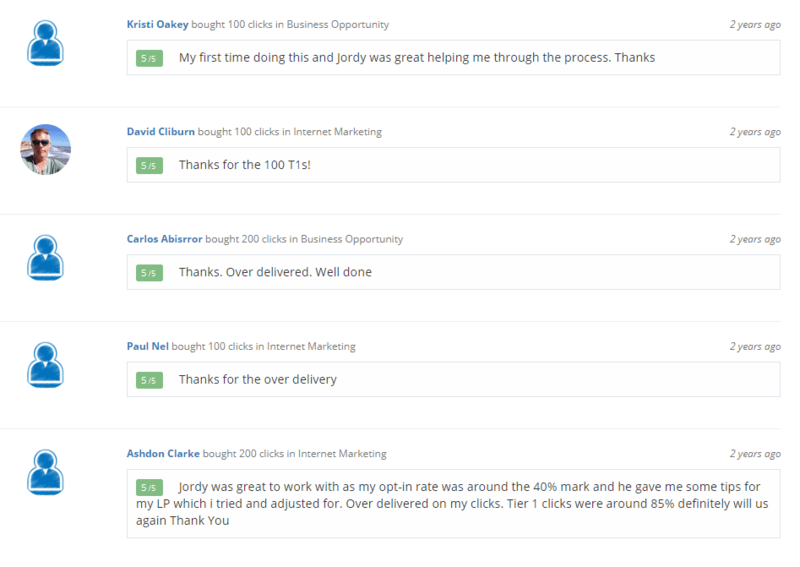 Jordy Solos have long lists of subscribers and provide you fresh list of subscribers through constantly building our list. 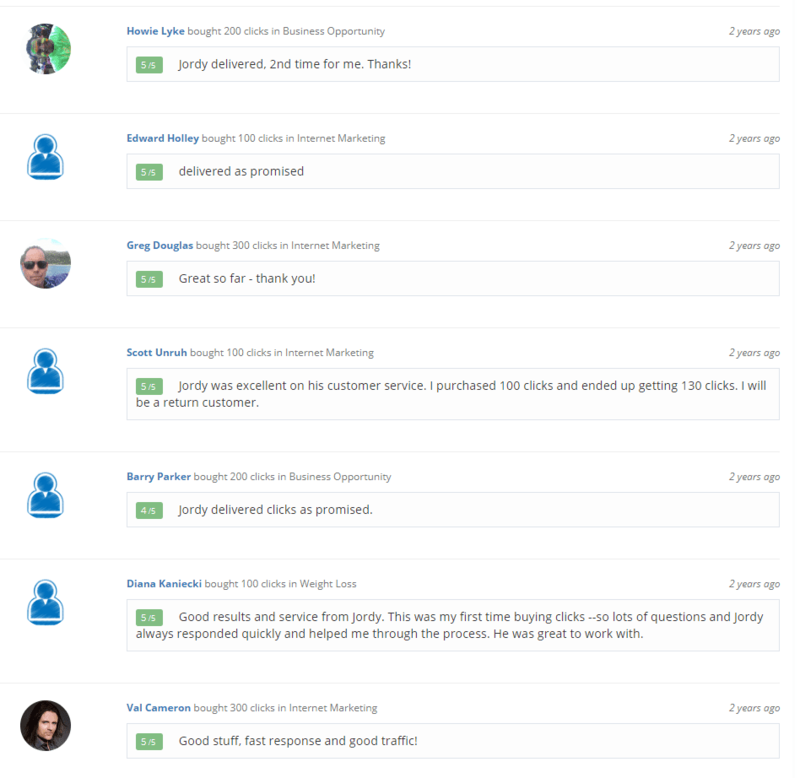 By using our solo ads, you are taking advantage of the targeted audience from our buyers list. You don’t have to build your own list or send out ads yourself. Since you are using Jordy Solo Ads, you don’t have to worry about building your own. Additionally, you don’t have to send out your ads yourself. Instead, we send them out for you. All you have to do is provide the email ad copy and offer page you want us to have it sent to, and we will send the email ads out to our buyers list. 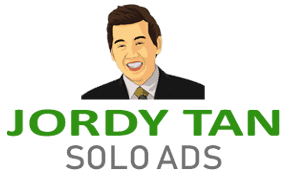 Jordy Tan Solo Ads Traffic is literally just that: One stop for all of your traffic needs. You need traffic to boost the success of your Internet marketing business. Without it, you won’t be able to succeed. It’s as simple as that. What you can do now is just to sit back, relax and let the traffic that we create take your business to the next level! It’s really pretty easy and incredible. 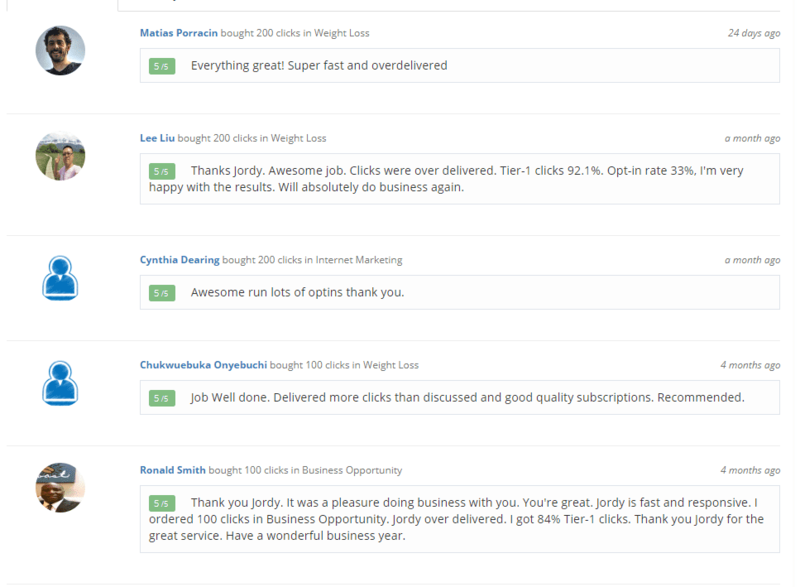 We guarantee that you will receive the number of clicks that you had ordered. 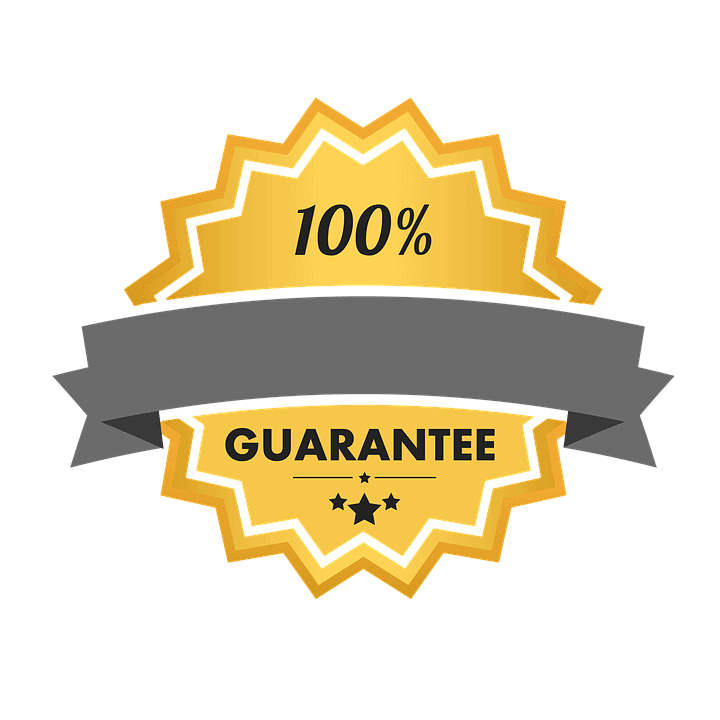 Besides that, we also guarantee that the clicks that you received are around 70% to 75% from Tier 1 Countries. 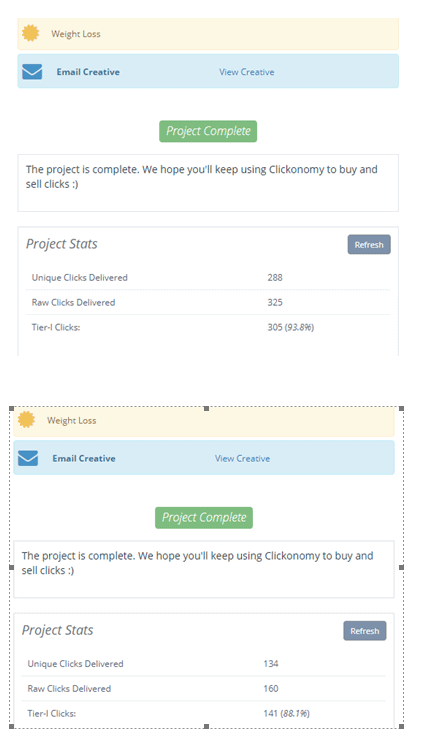 For example, when you order a click package of 200 clicks, we will launch a solo ad campaign that is enough to generate results for 200 clicks. What Is The Meaning Of Tier 1 Countries? Tier 1 countries usually refers to the countries whereby their main language are English such as US, UK, Canada, Australia and New Zealand. When you buy our solo ads buyers lists, it consist of subscribers from these countries. We always do our best to fulfill our service quality in delivering the number of clicks which you have ordered. However, as there are many factors that result in poor opt-in rates such as product is irrelevant or unattractive, the landing page look like a scam or copy writing of the landing page is not right. Thus, we do not guarantee the opt-in rates. How Can I Improve My Opt-in Rates? In order to maximize your opt-in rates, we recommend that you offer visitors a relevant free gift such as a report or an e-book as a way to say thank you for their sign ups. For example, if your product is in the weight loss niche and would like to target the weight loss crowd, give them a free weight loss report or an e-book in exchange for their opt-in. After they had opt-in into your own list, you can always do a follow up with them again and sell them your product line or introduce your service. You will find getting a sale easily with a great products or services which will benefit them. 3) Proceed to make payment through Paypal. Once we received your order, we will update you the date of delivery. What Is The Lead Time And Delivery Time? Once we received your order, we will need 3 days in advance to arrange the delivery of clicks to your offer. 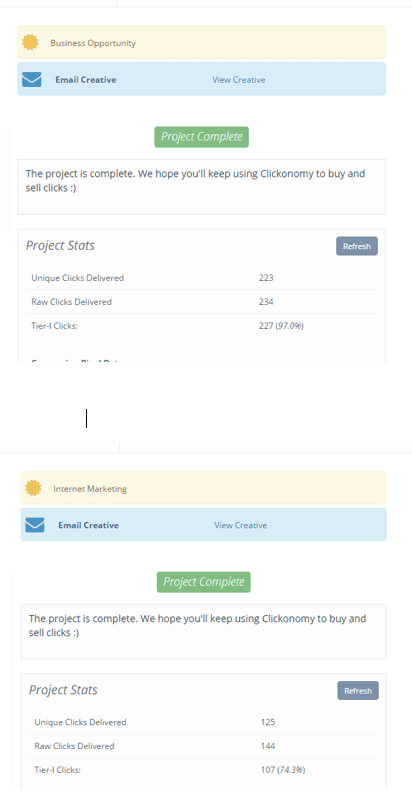 In the event that you require our copywriting service for your email swipe file (ads copy), the delivery arrangement will be around 5 to 7 working days. Once the delivery date is been scheduled, it will usually take 1 or 2 days starting from the delivery date to complete small clicks packages such as 100 clicks. Jordy Tan Solo Ads Traffic provide high quality solo ads for dog niche offers such as dog training at affordable price. Do you have a question to ask before getting our solo ads? We welcome any sort of inquiries or feedback that you might have. Just fill up the form below and we will get back to you as soon as possible.